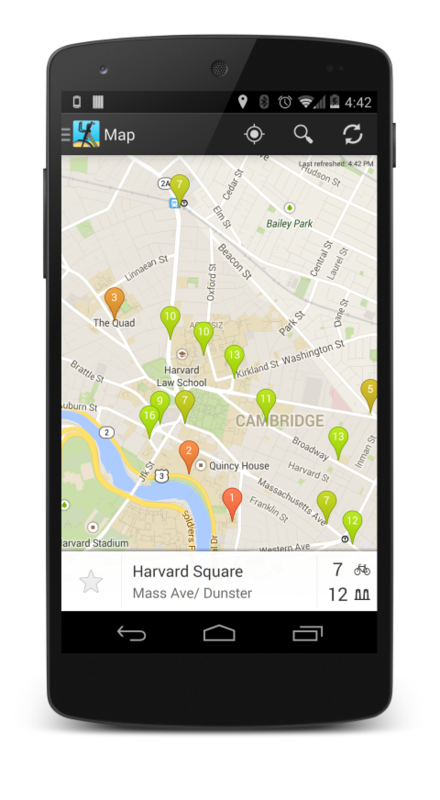 Moyeu is the best way to enjoy Boston's bike sharing system. 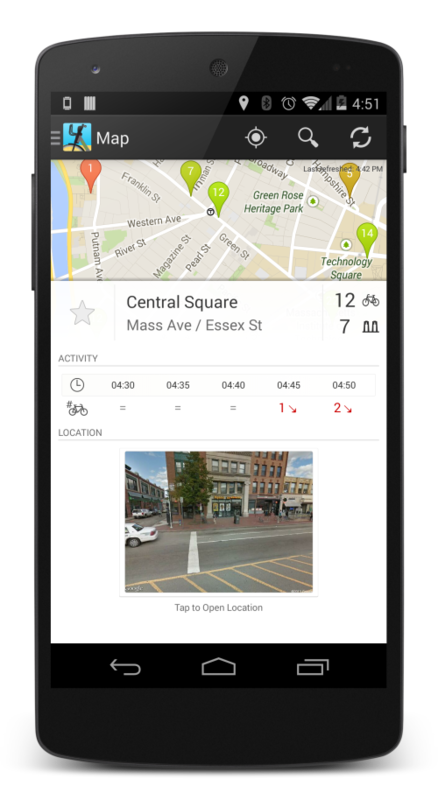 Packed with tons of feature and a modern Android interface, you will feel ride at home. 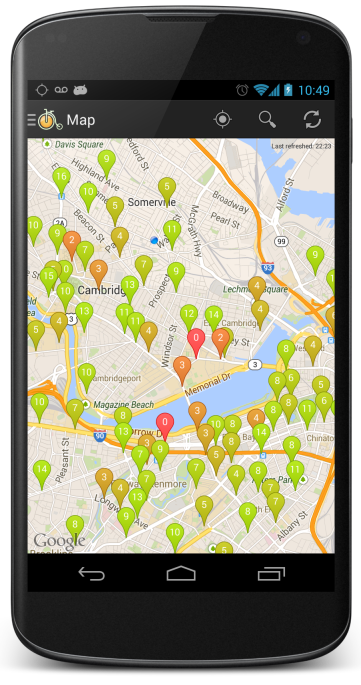 Visualize the entire Hubway station network in real time. Stations pins will display the amount of bike remaining using quick color feedback. Each station information is concisely presented with live bikes and racks availability. 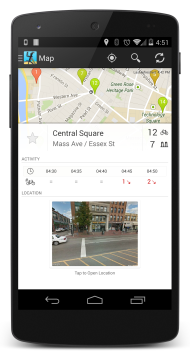 Google Street View preview will help you pinpoint the location of station with its surrounding environment. 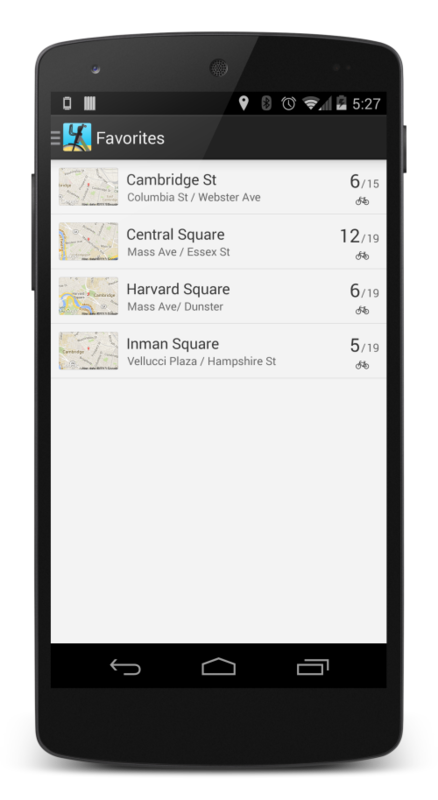 You can also open the station right into the Google Maps application (or other compatible apps) for further processing. Ever been to your favorite station to drop your bike just to find it full? 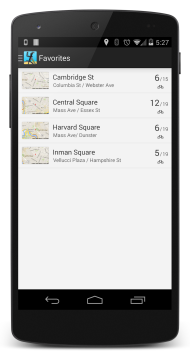 Worry no more, stations closest to you are automatically displayed in the app menu so that you can quickly find an alternate location. You can add stations to your favorites list right from the station information. 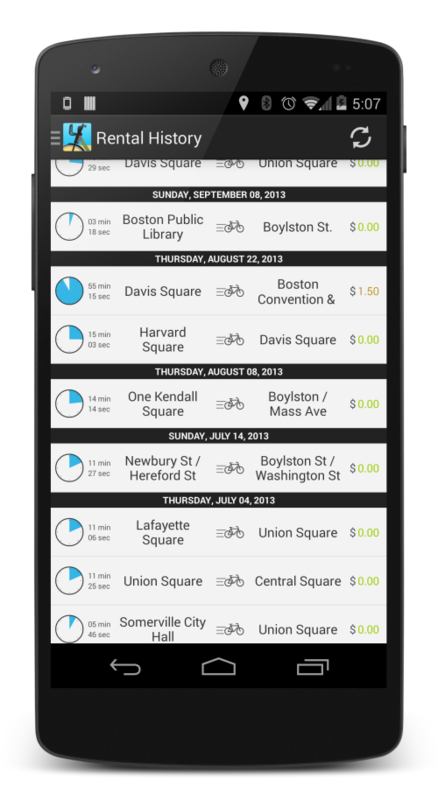 They can then be accessed from the menu into a summary view containing all the relevant data for each of them. Want to know if you went past the fatidic 30 minutes on that last ride? 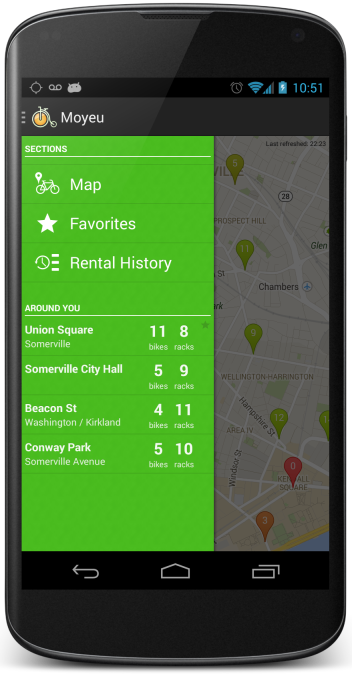 No need to cumbersomely login on the website anymore, you can get your rental history directly from the app (Hubway account required). The entire Moyeu source code is available on GitHub under the open-source Apache 2 license. 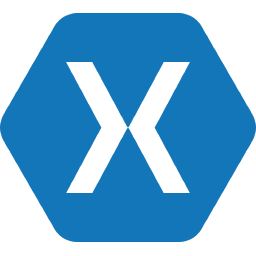 Since Moyeu uses the Xamarin platform, it's a good playground to build your own apps.